So, you’ve seen it on the news, read about it in the papers and perhaps spent a few extra quid to catch the 3D version of a film at the cinema, but what technology is being used in 3D televisions? Where did it start, and where is it going? Well, I’m sure the older guys and gals out there will remember the classic, ‘free with this week’s issue of blah magazine’, cardboard red and blue ’3D’ glasses?! These classics marked the beginning of mainstream 3D for film and TV audiences – in fact only recently there were a spate of classic 3D movies played on Channel 4. These ‘glasses’ (the lenses in the cardboard design were a thin, flimsy plastic but you could, and still can, buy proper-lensed 3D blue and red glasses) use what is called anaglyph technology. This has since been superseded by Passive and Active 3D technologies. This operates by creating the medium, which in our case is film, with two distinct colour layes which are then superimposed on top of each other but at a slight offset which creates a sense of depth. 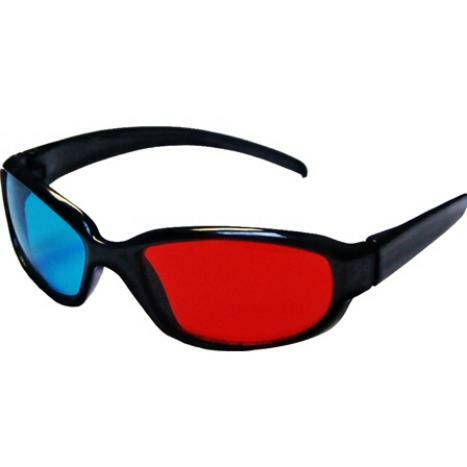 When you slap on your 3D glasses, the two different coloured lenses, which are normally red and blue but must be chromatically opposite, a very basic 3D stereoscopic effect is created. If you’ve been to an IMAX 3D cinema, then this is the technology you would have witnessed. 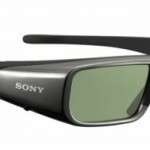 It’s also the technology used with the film Avatar which has been one of the biggest catalysts in the new 3D revolution. This technology, again, uses glasses but this time, as the name suggest, the lenses are not coloured but are ploarised, meaning that each lens has been ‘tuned’ to only allow light through of a certain frequency range. Like the old-school anaglyph technology, the original image is composed of two layeered images, each of a different frequency. This means that when you look at them, one eye sees one image and the other eye, the other. By having the two layered images at slighlty different ‘angles’, in effect, (special cameras need to be used to create these separate layers) the brain is again fooled in to thinking that the image it is seeing is three dimensional. 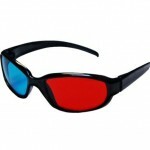 The real beauty of this method is that the 3D glasses that are required to view the images are very cheap to produce. Well, as things currently stand, this is regarded as the best way of viewing 3D content. 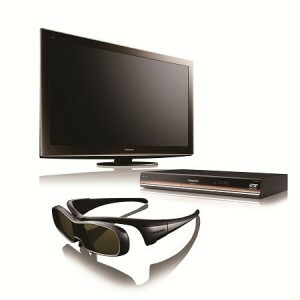 However, it’s also the most expensive, with regard to the 3D HD TVs themselves and the accompanying prerequisite 3D glasses. This all works using refresh rates. The 3D content is, as usual, composed of two separate images, one for each eye. However, the way the TV gets the images to the eyes is by flashing one image on the screen for one eye and then another for the other. The original standard refresh rate for HD TV was 60Hz (this went up to deal with flicker free Blu-ray 24fps, but is also another story!) so this has to be doubled up to 120Hz to have a 60Hz refresh rate for each eye. The active 3D glasses then do their thing by also operating at the same refresh rate, effectively opening and closing quickly over each eye. Herein lies the expense though. These active glasses have LCD displays which switch from transparant to opaque ensuring each eye sees only what it’s meant to. These also have to be powered and synchronised with the actual TV to ensure they refresh correctly. The connection usually uses Bluetooth technology. Sit on a pair of these and it’s an expensive mishap! I think the direction most 3D television manufacturers would like to go in is to do away with the need for 3D glasses completely. A couple of demo TV sets have been produced to showcase this technology but these won’t be hitting the shelves until 2011 at the earliest, and will probably be a tad on the expensive side. Still, as the technology matures, expect the price to drop and 3D quality to improve. The future’s bright, the future’s 3D!